Links between UK government ministers and big oil is creating a huge obstacle to reducing carbon emissions according to a report from the World Development Movement. The report says up to a third of the ministers in the coalition have past or present links to oil and gas, or to the financial and service companies which support them reports the Guardian newspaper. It also reveals close connection between oil companies and the big banks, with many executives sitting on the boards of both at the same time. The connections themselves did not surprise the report’s authors but the scale. 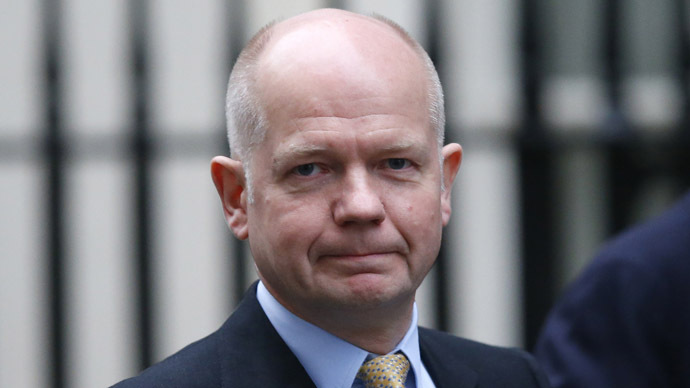 Among the leading coalition names to have worked for Shell or other oil companies are Business Secretary Vince Cable, Foreign Secretary William Hague and International Development Minister Alan Duncan. The Education Secretary, Michael Gove, is among those who have received financial backing from Aidan Heavey, the boss of Tullow Oil. Greg Barker, Energy and Climate Change Minister, was formerly employed at the Russian oil business Sibneft, while Maria Miller, Secretary of State for Culture, was on the staff at Texaco and Alan Robathan, a Defence Minister, was at BP. On top of this, Education Minister Elizabeth Truss was a commercial manager at Shell while Robert Goodwill, who works in the Government whips' office, holds shares in Russian oil and gas majors Lukoil and Gazprom. The report claims the top UK banks underwrote $255 bn in bonds and share issues for fossil fuel companies between 2010 and 2012. "We desperately need regulation to stop banks and other investors ploughing billions into unsustainable fossil fuels – will this happen when Government, big finance and big oil are so closely intertwined?" wonders WDM campaigner Alex Scrivener. This kind of interconnection between the British government and the oil industry obviously increases the dependence on a high carbon energy policy, which is pushing the planet to the brink of climate catastrophe, the research argues. The Guardian tried to contact those mentioned in the report for comment but had received no reply by the time of going to press.